Install Windows software on your Mac – without the need for a virtual machine, an emulator or dual-booting. 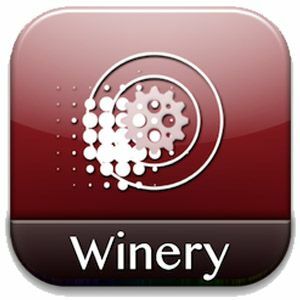 Wineskin is a Mac app that brings Wine to your Mac, OS X style, allowing you to create custom packages including everything your favorite Windows programs need to run on your Mac (well… many of your favorite Windows programs). Whether it’s an ancient version of Quicken you still use to keep track of finances or a game you still love from your PC-bound past, there are certain programs you simply cannot find for the Mac. For this reason alone many people set up virtual machines, running the entirety of Windows for the sake of a few apps. Depending on what you want to run, however, that’s a lot of overkill – and certainly doesn’t offer the performance of running the app in a Windows alone. Wineskin builds on existing open source technologies in an attempt to make the running Windows software without Windows simpler. Having said that, the nature of Wine—originally designed to Windows apps working on Linux Run Windows Applications on Linux (or Mac) With WINE Run Windows Applications on Linux (or Mac) With WINE Read More —means complexities will arise. Wineskin certainly doesn’t help you avoid all of them. Having said that, it’s wonderful when it works. There are a few steps, and depending on the program you want to get running it may not work at all, but it’s worth a shot if you want to combine the speed of dual-booting with the convenience of a virtual machine. Before we get started, you should research the app you’re interested in running. The first, most obvious question to answer: does a native Mac version of this software exist? 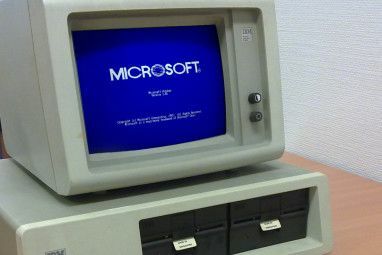 As tempting as it sounds to new Mac users to avoid paying for, say, Microsoft Office Mac by porting the Windows version, Wineskin will never create a perfect replacement. If a Mac version of the software you want is out there, it’s probably best to get it. It’s also almost essential to look up the program you want to use on WineHQ. This database includes user information about thousands of Windows apps, with users sharing their experience of getting the app working. Be warned: if an app is rated “Garbage” by a majority of users you almost certainly won’t manage to get it running. Done looking everything up, and still want to proceed? Good. Let’s get started, then. First things first: install and launch Wineskin Winery. This app allows you to create “Wrappers”, which will in turn bundle and run your Windows software into a Mac-style package. For now let’s just install a couple of engines – click the “+” button and grab a couple of the most recent ones (the exact number depends on when you’re reading this, naturally). You may end up needing more, depending on the software you want to run – some older software struggles to run with newer versions of Wine. I told you this can get complicated. Don’t worry: it’ll all make sense eventually. I promise. Yeah, that’s right: we’re going to start by emulating Microsoft’s Minesweeper. 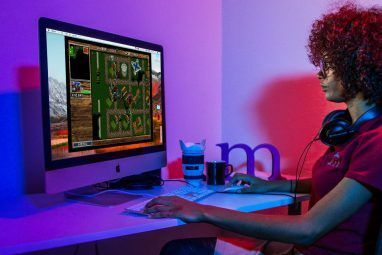 (You can extract Minesweeper How to Play Minesweeper on Windows 10 How to Play Minesweeper on Windows 10 Microsoft no longer ships Minesweeper as part of Windows, but it doesn't mean you can't play the classic game! Read More and games like it from a Windows XP CD, if you want to follow along). When the setup is done you’ll need to pick the executable your package runs by default. Pick the right one! Of course, setting something up provides no guarantee that it will run. I had to tweak all kinds of things using advice from WineHQ before I got this game running – but it does work. Having trouble getting a particular program or game to work properly? Such is the frustration with Wineskin, and programs like it, but don’t despair: with a little research and tweaking you just might be in luck. Do this and you’ll be able to see the advanced options. If you’re seeing a specific error message – perhaps a missing DLL, for example – head to Winetricks. From here you can automatically download various DLLs and other things certain software requires to run. There are even automated scripts for getting particular games and apps working properly. It’s also worth changing the video settings – some full screen apps, for example, will crash unless you relegate them to a virtual desktop. WineHQ is a great way to figure out what you’re missing, and things you can do to get things working. Like I keep saying: it’s not simple, but when you get an app you need up and running you’ll be happy you went through all of it. Ready to check this out? Go ahead and download Wineskin, then. You’ll be glad you did. Note that, in order to use the latest Wine engines offered by Wineskin (and, for me at least, Winetricks) you may need to install the latest demo. For me it was actually more stable than the stable version, but your mileage may vary. WINE is software Linux users are almost all familiar with, but it’s still relatively unknown among Mac users. There’s a reason for this, and it has to do with the difference between Mac and Linux users. For example: I’m quite confident someone in the comments will point out that my first paragraph is wrong, because I claimed that with Wineskin there is no need for an emulator. “But WINE is an emulator,” he’ll say (it will almost certainly be a he). 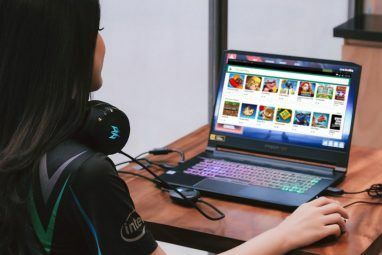 That person would be wrong, of course, because WINE is not an emulator – in fact, WINE itself stands for “Wine Is Not an Emulator.” Emulators mimic a processor; WINE connects your existing processor directly with Windows software using a software layer. Did you finish that paragraph? If not, you might be a Mac user: it’s just the sort of heavy-handed point Linux users love to make… and Mac users find irrelevant. Linux users also love playing with things to make them work properly – another thing many Mac users prefer to avoid. How is Wine different from a virtual machine? One reason is obvious: to use a virtual machine to run Windows apps, you need a copy of Windows. Wineskin has no such restrictions. So why does anyone use virtual machines at all? Well, for one thing, check out how long the above tutorial is. Virtual machines are complex, but they perfectly simulate running an app in their native environment – because they actually run the app in their native environment. Additionally, WINE means constant tweaking. It means working to get things working properly, and Googling a lot to see what will and won’t work. The effort pays off, though: an app set up to run in WINE will ultimately run better than it would in a virtual machine. Which should you use? It’s up to you. If you want to actually run Windows alongside OS X, check out Virtualbox and software like it. If you’re willing to do some tweaking in order to (hopefully) get better performance, try Wineskin. Wineskin isn’t alone, though. If you waant to try another version of Wine for Mac users you should check out Winebottler, which also uses Wine to run Windows apps on Macs How to Run Windows Programs on Your Mac Using WineBottler How to Run Windows Programs on Your Mac Using WineBottler Read More . It’s pretty good, though it does not give you access to advanced features like Winetricks. Are you using this approach to run Windows software on Mac? Personally I’m thrilled to get my wife’s ancient version of Quicken working, but I want to know what you’ve set up. Share in the comments below, and please: consult WineHQ for help before coming here asking questions about a particular app. I probably don’t have the apps you do. Can you run oblivion on this set up. Its a big game and require you to save now and then. My gut says probably not, but you could give it a shot if you're brave. Hi, I'm having troubles installing a program, everything seems fine but won't allow me to accept the user agreement, well I can't even see the agreement... Any ideas? It's hard, I'd recommend searching WineDB for your program specifically and seeing if others had the same problem. Everytime I try to make a wrapper, it is asking for mono and gecko. The referencing pages are all talking about Wine and how to solve it that way-not with wineskin. Also, if I let it try to download mono and gecko, I get a checksum error. My problem is that the Wineskin I created stops working when I'm trying to print from it. I have tried to google possible options but haven't found any so far. Could you help me with that? The .exe file I wrapped is an invoice-generating software, in case this helps. Oh man, printing is a can of worms I'm not sure I want to get into. I recommend saving to PDF instead, then printing from the Mac side. Is that possible? I need to run Microsoft Excel, Word and Visio 2007, but I can't seem to find the right files. What I can find, Parallels (which I'm trying to get rid of) seems to be doing something to and I can't select them. I also looked for the .exe files on the installation disc, but I can't find them either. ANY help would be awesome! What's annoying with WINE and crossover is that if you have a standalone .exe (no installer) then you can't install it. Is this any different? Read the guide above, because it absolutely is. Wineskin can grab any directory in place of an installer EXE and run it. I demonstrate this with Solitaire, but any portable app should work assuming all dependencies are included – and even if they're not you might be able to dig them up. Cool! I'll try it out with PXtone later. HOORAY! Now I can finally make music on my mac! I guess it worked, then? Awesome!